One of the best things about staying in a hotel is momentarily pretending that the room is actually your home. Like, you totally have a king-size bed with an oversize velvet headboard, sheets with an impressive thread count, and, of course, a marble-clad bathroom with sleek finishings and a floating tub . . . at least according to social media. For any interiors aficionado, choosing a hotel room with a dream design is usually high on the list of travel priorities for this fantastical purpose. And to make the temporary home a forever memory, one Must. Post. On. Instagram. 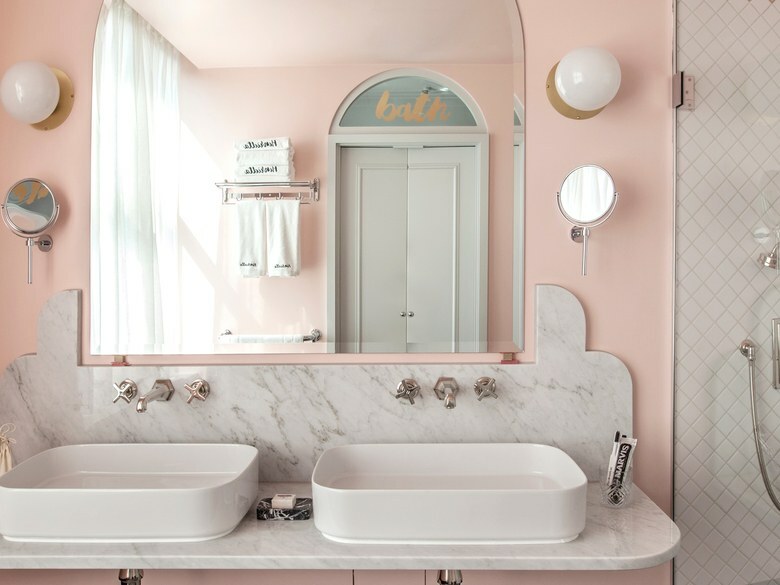 Whether it’s a selfie in aforementioned floating tub or just an inspiring pic of the epic design, a post of your hotel bathroom can instantly catapult your interiors clout on the ‘gram—even if you’re checking out the next day. This entry was posted in Bathroom Concepts, Bathroom Inspirations. Bookmark the permalink.